Chasing Davies: Dress For Less: Give me a Sequin! Dress For Less: Give me a Sequin! 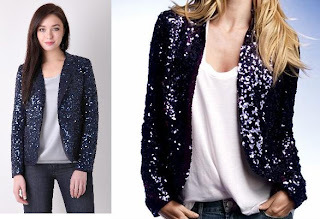 Dazzle, razzle in a sequin jacket for the holidays. 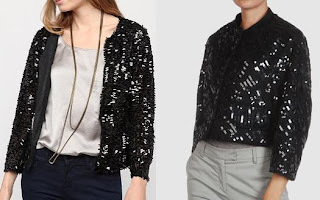 I love the way a dressy sequin jacket looks put over a casual white T. Or dress up a simple black dress. These are some beautiful options - but it's up to you how much you want to spend - a little or a lot? Can you tell which ones of these are high priced and the ones that are lower?